In this video and article, I'll talk about winterizing my workshop, including choosing from the wide array of shop heaters, garage door insulation, and more. 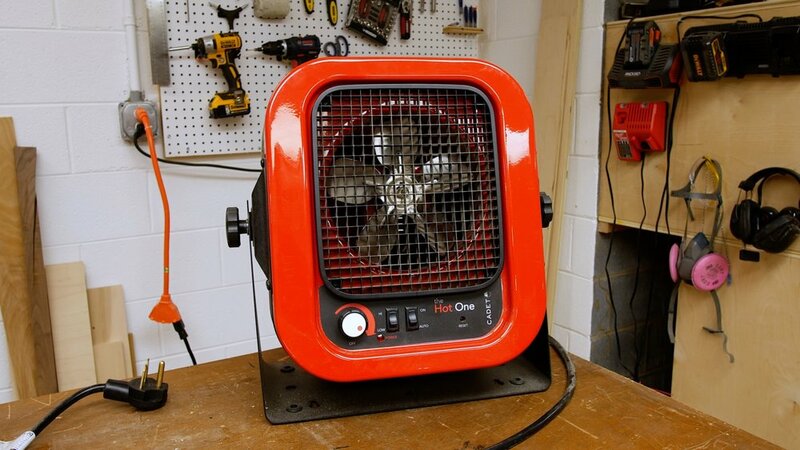 I went with Cadet's The Hot One, a 5,000 watt/240V electric heater, for my shop. Enjoy the video below, and continue reading for more detailed information. Cadet sponsored this article and video, and provided me with this shop heater free of charge. Nonetheless, this is my honest opinion on their heater. First, let's talk a little about my shop space. I work in a two door, two car garage, with a rough size of 25' x 40' (although, my wife still insists on parking in her side of the garage). The shop has an attached 7' x 25' hallway that I use for wood storage and is also where my jointer lives. All told, I have about 1200 square feet of open space to heat. As far as resting temperature, if it's 15 degrees outside, the temperature in the shop will usually be in the mid-40s. This is pretty manageable for me to work in with a coat, especially once I get moving. The real need for heating is during finishing and glue-ups, especially if I'm using an oil-based finish. Cold temperatures can prolong times between coats significantly, and with oil based finishes, the time between coats can already be lengthy. My main goal for heating my shop was to raise the temperature to the high 50s/low 60s during finishing. Gas/Propane - Efficient, but you will need access to a gas line (which I don't have). You will also generally need some kind of ventilation. If you have natural gas available, this is probably the way to go. 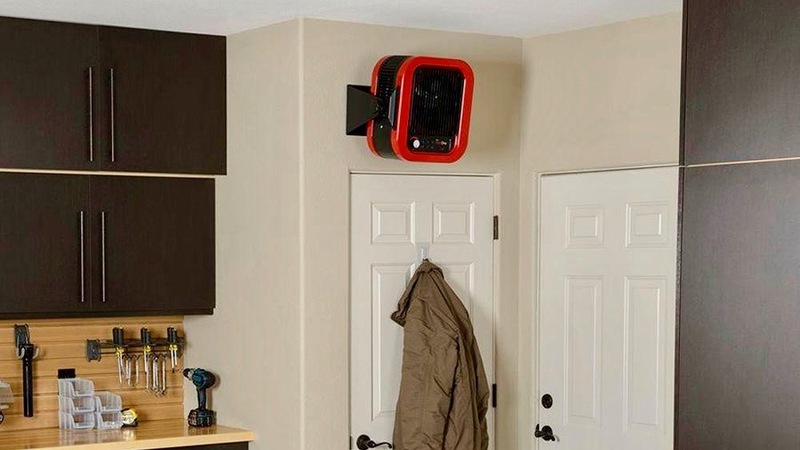 Electric - Electric shop heaters are fairly easy to install, especially if you already have 240V service, but running the unit(s) can get pricey. This is the route I went, due to my particular shop constraints. Infrared - These are the large tube-shaped heaters you see at restaurants and the like. They work extremely well but can be fairly large, especially if you have low ceilings. 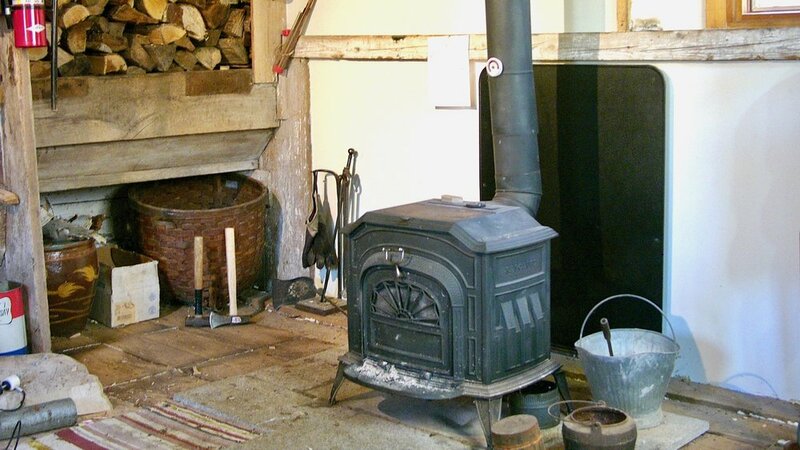 Wood Stove - The old school choice! Needs some kind of exhaust, not to mention you have to keep feeding it new material to burn. They can also get quite hot, so you need to avoid bumping into it and getting burned. Mini Split - A good option but very expensive, usually over $1,000 for the unit and another $1,000+ for installation. They also don’t work well in very cold weather. A much better option for cooling than heating. 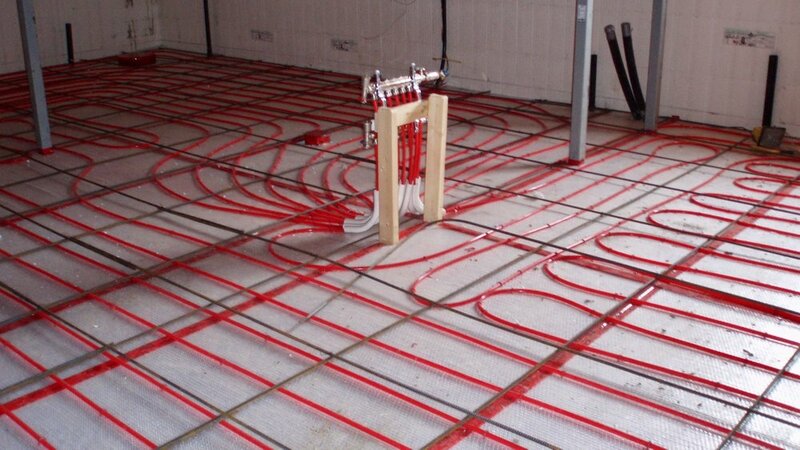 In-Floor Heating - The mac daddy of heating, but also the most expensive. To install, you will need to completely replace your floor or build another floor on top of your existing floor (which can, in turn, reduce ceiling height). For my shop heater, I went with The Hot One by Cadet. This model was recommended by someone on Twitter and, after a little more research, it seemed ideal for my space. Cadet offers two models: a 30 amp/5000 watt version and a 20 amp/4000 watt version. Pricing is in the $250 to $330 range, depending on the model. I went with the 5000 watt version for my space and, according the Cadet's website, I probably need two of them for my space, ideally. That said, this little heater can bring the shop up from 45 degrees to 55-60 degrees in 2-3 hours and hold it there. That is pretty impressive, considering the extremely small footprint and the size of my shop. How Much Do Shop Heaters Affect My Power Bill? The real question I had was how much of a hit I going to see on my power bill. I was running the heater on high for about 7 hours a day, 5 days per week, over the past month. My power bill was about $90 more this past month over the previous month. I can't pinpoint how much of that cost increase was due to this heater vs the increased heat usage in my home, though. My Nest thermostat told me that we used an additional 66 hours of heating time over the course of the past month inside our home, so that definitely has to account for some of the increase. If I had to guesstimate, I would venture to bet that $50-60 of that increase was from this heater. Our electric bill is usually sub-$200, so that is not an insignificant increase. That being said, I think the expense is well worth the added comfort and peace of mind in my shop. After all, this is a business expense for me! Even if you're a weekend warrior, I think investing in a heater like this is a no-brainer. Buy a few less lattes or beers and you'll cover the cost easily. Install it where you will minimize the exposure to sawdust — think both the area of the room and installing it on the wall, not on the floor. Garage Door Insulation, Basement/Cinder Block Wall Insulation? There are a few more options to consider when it comes to winterizing your workshop. One popular option is installing garage door insulation, if you’re in a garage shop. I will probably be installing Matador garage door insulation to help maintain the heat. If you have any experience with that product, please let me know in the comments below. I'm still not convinced on its effectiveness. Another potential option is actual insulation, if you’re in an uninsulated shop. There is a product called InSoFast that I've been considering as an option for my cinder block/basement shop. It seems to just drop in and would be a major improvement as far as insulation is concerned, considering I currently have none! Again, if you have tried it, let me know! Hopefully you all learned a little something about shop heaters and ways to winterize your workshop! If you have anything to add, please let me know in the comments section below. As always, thanks for watching and reading and, until next time, happy building!